It's time for another release at Taylored Expressions and we've got some exciting new products to show you over the next few days!! 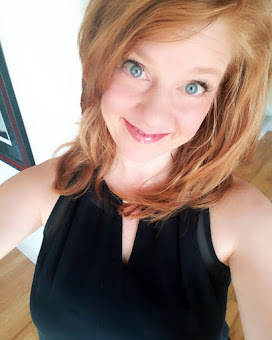 I have two projects to share with you today. The first feature the Shade Tree Cutting Plate. I just LOVE this cutting plate! It has a coordinating stamp set called Made in the Shade, but for my project I used it without that set. For my card, I die cut the Shade Tree Cutting Plate out of dark brown cardstock and two shades of green. I attached the brown piece to a white card base and stamped the sentiment from another new set being released this month, A Glimpse Inside. 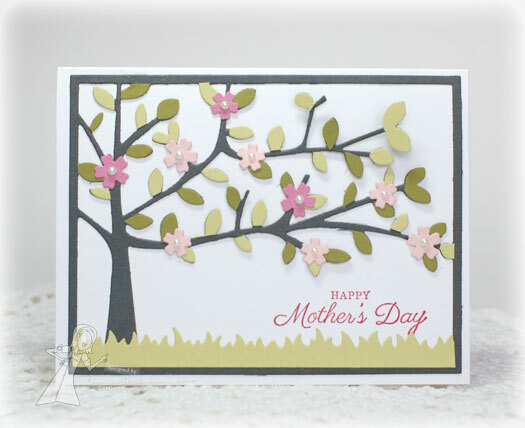 I snipped off green leaves from the green die cut pieces and glued them over top of the brown die cut piece. The new Flowerbox Sprigs & Flowers Die was used to die cut the flowers that are attached to the tree. I die cut some grass using the Grass Border Die. For my second project, I used the new Picture Window Die. I created a set of tags by starting with the new Tag Stacklets 1 Dies. Next I die cut the windows. Before attached them to the tags, I created a scene. 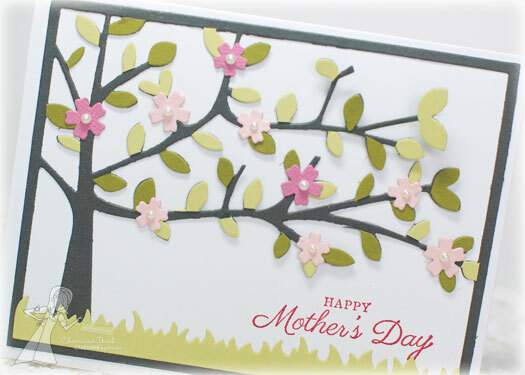 I started by sponging clouds onto white cardstock using the Cloud Border Die. Grass was adding using the Grass Border Die. The sun was die cut using the Sunny Days Coordinating Dies. The sentiment is from the new Made in the Shade set. I tied some seam binding through the tops of the tags and tied a bow of Baker's Twine around that. The papers are from the Collectable Memorable Collection from My Mind's Eye. 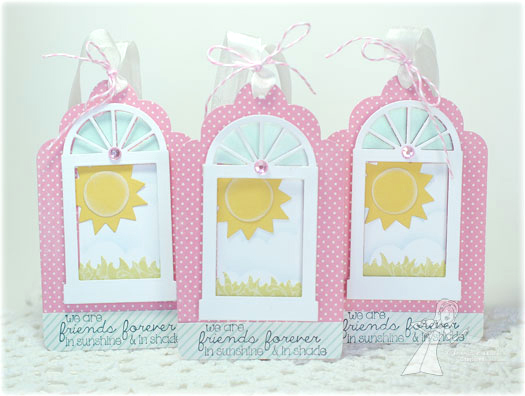 I thought these would make happy tags to attach to any gift for a good friend. All of these new products will be available for purchase on Thursday, April 4th at 8am Pacific!! 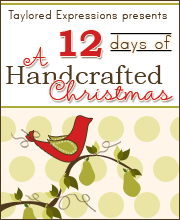 For now, you can see more using the new stamps and dies by visiting the rest of the Baker's Dozen. Thanks for stopping by and I hope to see you back here tomorrow! LOVE the cherry tree!! They are almost blooming here and I can't wait for them - just love them! Darling tags with the window scene too! Ooooo I adore your sweet sunny little tags! And it look slike we had similar ideas with the cutting plate - don't you just love that thing? So fun! OOH, I LOVE those tags!!! 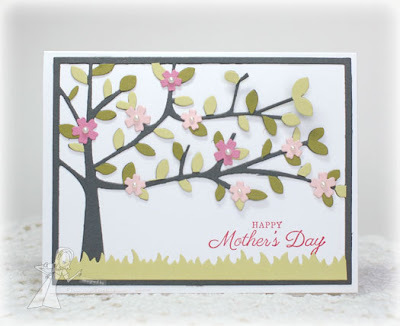 So pretty and your Mother's Day card is just gorgeous! Love your card and tags are sweet. I am loving these dies and images. Beautiful tree and those tags are so cute! Oooh, I LOVE your cutting plate tree...it's so pretty! The flowers are such a nice touch! 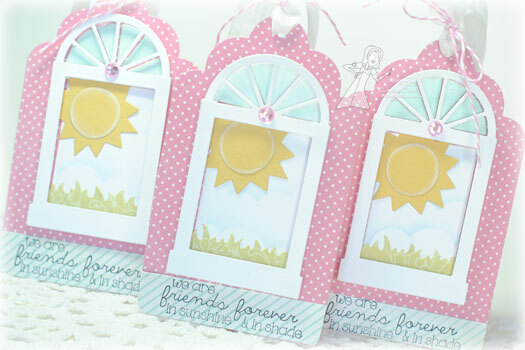 Also loving the sweet tags, they're perfect for all occasions! Fabulous, Charmaine! Love the sweet tree and your tags are amazing!